What is really happening in China Securitization Market? China has determined to steadily expand its asset securitization program to decentralize risks in the banking system as well as to vitalize capitals for economic investment. China is the world third largest debt capital market, with total outstanding amount of about 30 trillion RMB, of which, the securitization market only accounts for 90 billion or 0.3%, which leaves the securitization market in China with a huge growth potential. According to official data released recently, by the end of May this year, a total of 23 financial institutions had issued credit asset securitization products worth 179.3 billion RMB. In June of 2014, Ping An Bank has successfully issued the first asset backed security to be listed on the Shanghai Stock Exchanges as the request for a broader investor base in Chinese ABS intensifies, which has marked a debut of the credit assets backed securities product on the SSE and a major progress made in the expanded trial of credit asset securitization in China. Ping An Bank’s credit assets backed securities has explored and built a new model for the interflow of China’s bond markets and exerted a profound influence on the Chinese bond market’s long-term growth. 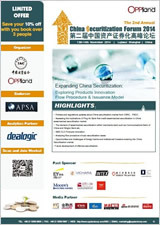 However, given the risks securitization poses could be devastative, issues regarding how to explore the optimized asset securitization product design, issue and trade approach to fit into Chinese financial market and how to improve product innovation and risk control capability of relevant financial entities has become vital to realize regular and healthy growth of credit asset securitization in China. Therefore, The 2nd Annual ABS Forum will be held on Nov 13-14, 2014 in Shanghai to gather regulators, banks, issuers, securities, trusts, institutional investors, law and accounting firms etc together to explore the development, challenges and opportunities of capitalizing on China's fledging asset securitization market. 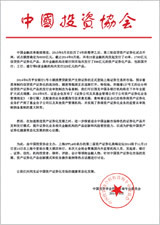 The demand of asset-backed securitization within merchants bank such as Communications Bank of China and Ningbo Bank etc. The official website of The 2nd Annual China Securitization Forum 2014 . Copyright © 2009 Oppland Corporation, All rights reserved.